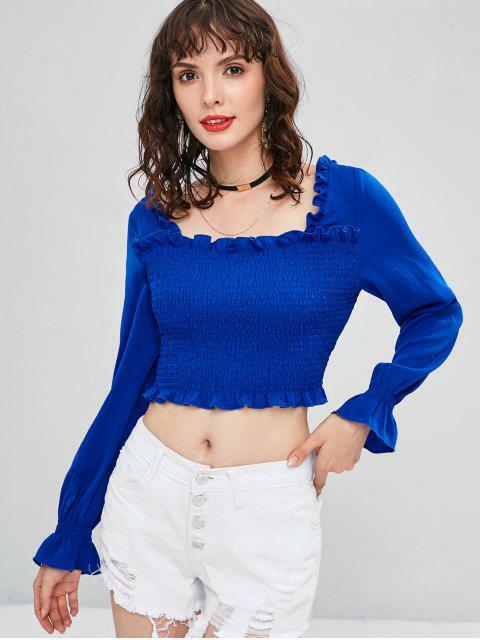 [57% OFF] 2019 Frilled Trims Smocked Crop Blouse In BLUE | ZAFUL .. Perfectly cut in a cropped design with frills hemline and long flared sleeves, this polished blouse has a trendy square collarline and back that are highlighted by the frilled trims. With stretchy smocked fabric, it will be a great piece to show off your stunning curves! Style it with denim shorts will look perfect!